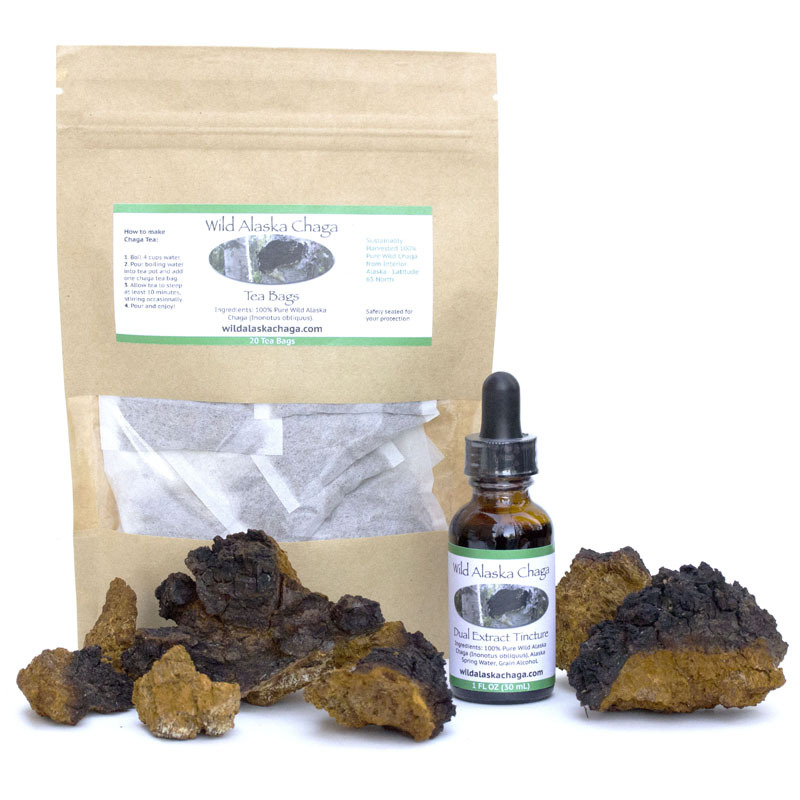 Our chaga mushroom sampler includes: Wild Alaska Chaga Tea Bags – 20 bags, Chaga Chunks – 4 oz, and our Dual Extract Tincture – 1 oz. This is the perfect product or gift for anyone looking to enjoy all the benefits of Wild Alaska Chaga. You save over 20% when you buy our product sampler, so order yours today!